The Origami Leaf Wall Hanger I made a few weeks back had to go to make some space for this new wall hanger. With pain in my heart I cut down the leaves….bye bye pretty wall hanger. 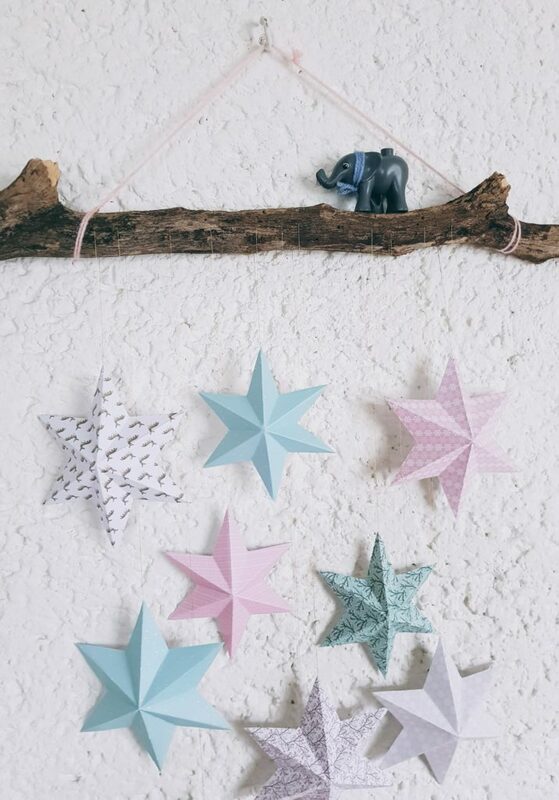 Luckily I made the stars some nights a go and all I had to do was hang them on the branch and tadaa….. 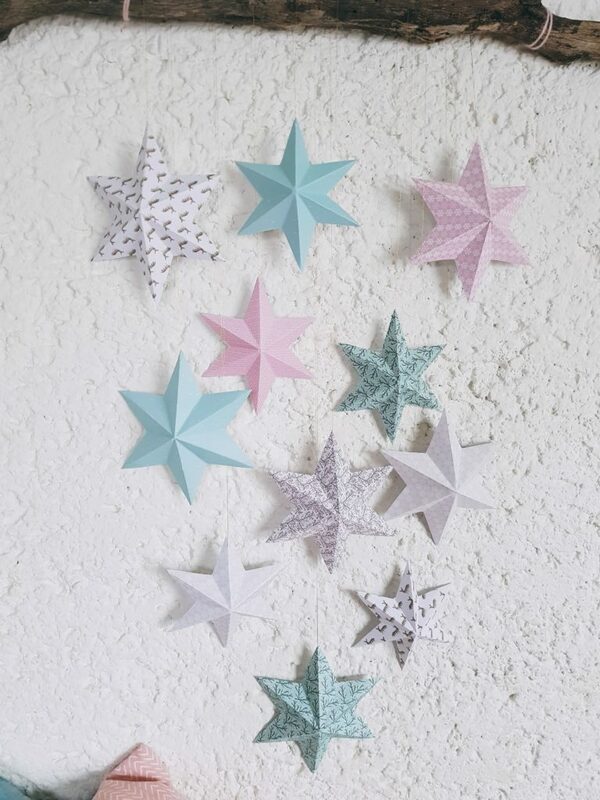 I made the stars with a thicker kind of paper and used a template I made. 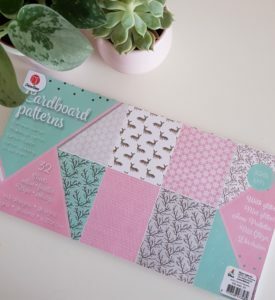 The template is added under the pictures, all you have to do is print it, cut it out and draw the stars. 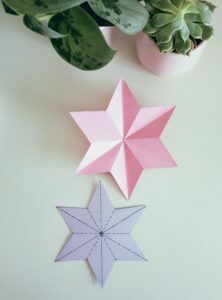 When you’re done drawing the stars cut them out and carve over the lines as shown on the picture below, be careful that you don’t cut through the paper. Carving lines makes it easier to fold them. Fold the – – – – line with the blanco side on the outside and t he -*-*-* line with the pretty side on the outside. 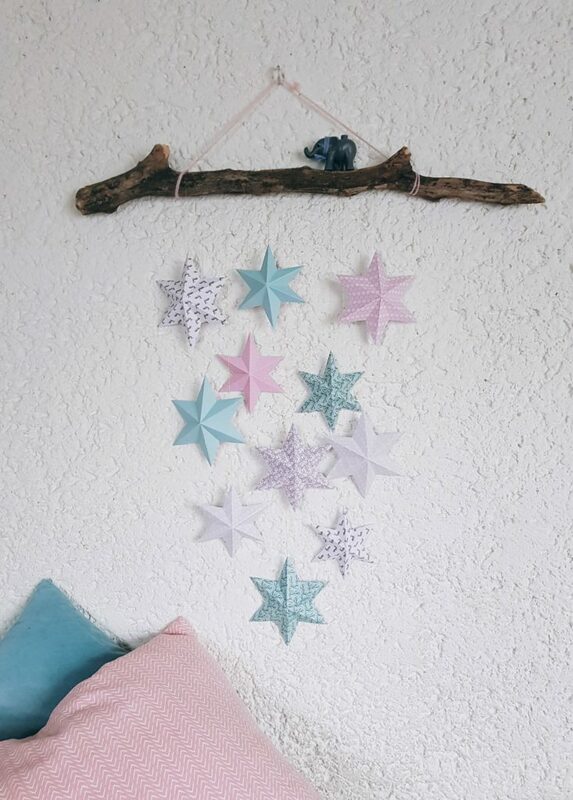 I used gold thread to hang the stars on the branch, just use a needle to get the thread through the paper. 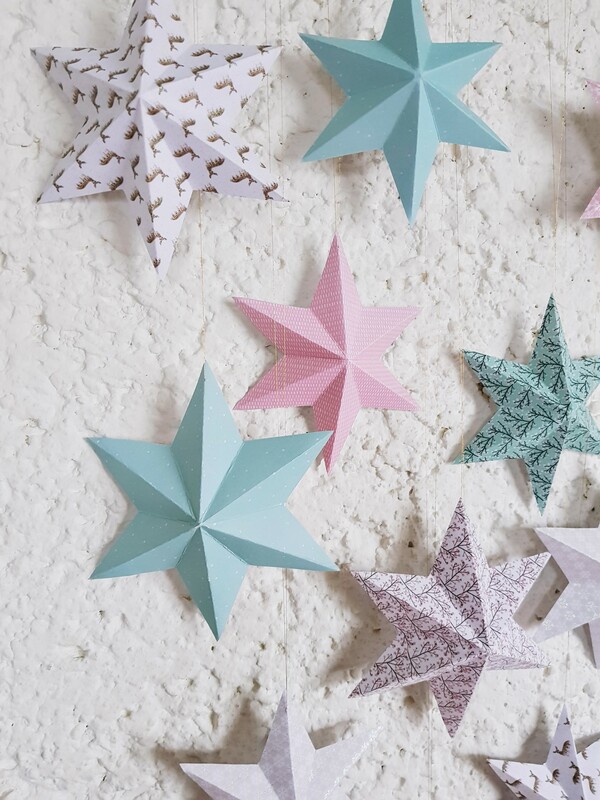 The result is very pretty if I may say so…..love the soft colors and the glitter is just right . I don’t like to much glitter…something with contact lenses, sensitive eyes and just not my thing.